An alluring pair of created emerald stud earrings, crafted in chic 9ct white gold. CARAT* blends timeless glamour with modern day wearability to deliver luxuriously fine jewellery. 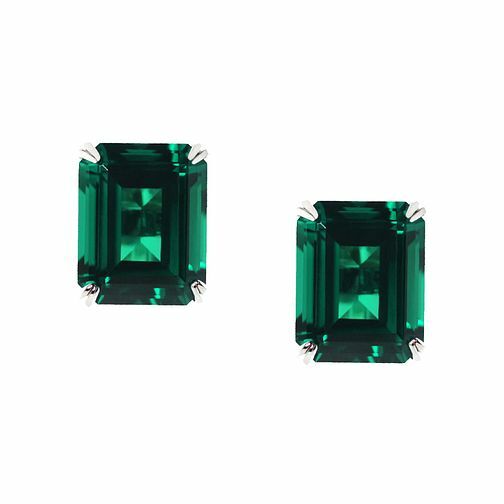 CARAT* LONDON 9ct white gold created emerald stud earrings is rated 3.5 out of 5 by 2. Rated 3 out of 5 by Anonymous from Good quality stone but Have returned item as regrettably my wife found the back stud too tight to undo and hurt in process.